Five At Five: QSR Kiosks Make Gains, But Will Customers Follow? Welcome to Five at Five, your late look at some of the freshest payments news of the day. Today’s stories include an up-to-date analytical report about which ordering and payment technologies are making the most gains in restaurants and how iris scans can beat out other biometrics. 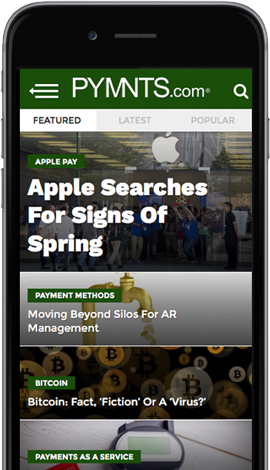 Coverage also discusses the future of consumer financial management and a new sense of stability around bitcoin. A boom in new technologies promises to reduce wait times while boosting food quality and customer service. And kiosks are seeing the strongest growth among the nine in-store technologies surveyed by PYMNTS’ analysis. Is it really happening? Recent coverage in the financial trade press seems to anticipate that there might be some stabilization on hand for the digital currency. Starbucks’ promotional efforts, which it has been increasing recently, failed to resonate with customers, resulting in the company reporting lackluster in-store traffic in the U.S. for two quarters in a row. The chain posted global declines too. In the fast-evolving world of biometrics, some solutions are proving more effective than others. Facial recognition technology is becoming an increasingly popular authentication method on mobile phones, but it still has a long way to go.